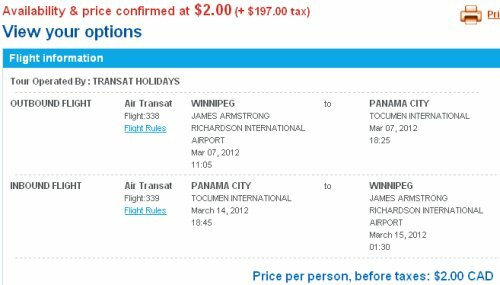 Winnipeg to Panama - $199 roundtrip after taxes! I'm pretty sure this is the most insane price ever found from Winnipeg to Central America. 2. Change it to Flights, and search for Winnipeg to Panama, departing March 7, returning March 14.
winnipeg, ywg, central america, thomas cook, panama city, panama and pty.